Let’s just put it this way: If Donald Trump’s campaign was found guilty of this crime, the media would pre-emptively announce his resignation and carry him out of town, pitchforks and torches in hand. However, Hillary Clinton is apparently immune to any criticism in the media. Don’t know what I’m talking about? Let me fill you in. First, it’s illegal to go to a polling/voter registration place and tell people who to vote for. It’s the reason why candidates can’t go to a polling/voter registration place and talk with voters, despite Bill Clinton doing it anyway and the media staying quiet about it. 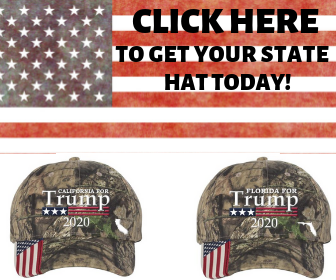 This seems like a clear cut case of voter manipulation and fraud. 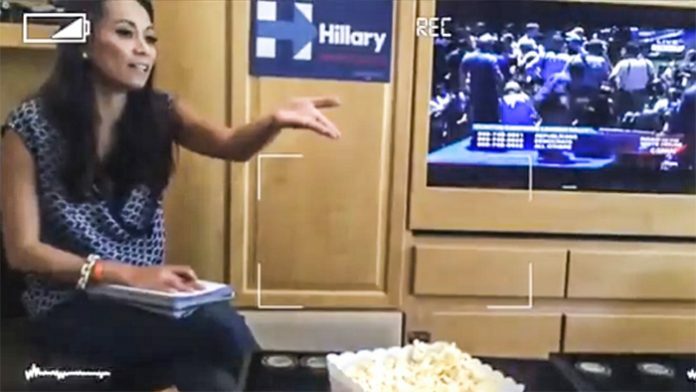 Second, the idiots behind Hillary4America didn’t know that one of their prospective recruits, the very people they were instructing to violate voter laws, had a hidden camera on the whole time and exposed them for the crooks they really are. Here is the entire thing, caught on tape. If this doesn’t clue you in into the mindset of people voting for Hillary, I don’t know what will. Want more? Here’s yet another Hillary campaign volunteer registering people to vote with signs that are against Donald Trump. When she’s pressed on her partisan hackery, she just runs away when she realizes that she’s being filmed. Yeah, sure sounds familiar, doesn’t it? All these #Notmypresident whiners need to see the truth for what it is. Hillary’s side tried to cheat, and lost.